This pattern is composed of two opposing colored bodies. The pattern can be spotted rather quickly on any time frame. There are two types of this particular pattern. First, there is the Bullish Engulfing Pattern. Secondly, there is the Bearish Engulfing Pattern. Both must meet three rules to qualify as an engulfing pattern. The second real body must completely engulf the prior body. However, the shadows do not need to be covered. The second real body must be the opposite color. There is an exception however, if the first body is a Doji or almost a Doji. And the market Must be in a definable trend. 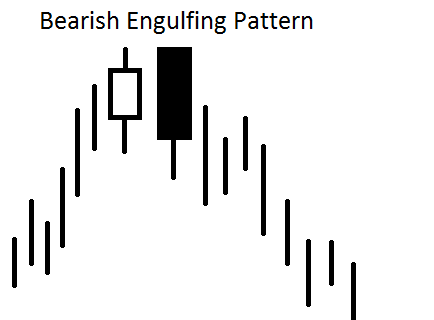 A Bearish Engulfing Pattern can only occur in an uptrend. The opposite is true for the Bullish Engulfing Pattern. Bullish Engulfing Patterns occur at the end of a downward trending market. A negative real body is followed by a body that covers the first fully. It is not necessary for the second body to cover the lower and upper shadows of the first body. The larger the second body is in length the more likely the reversal is a true signal. Combined with other indicators this Japanese Candlestick pattern can be a very useful tool. Bearish Engulfing Patterns happen when a rallying Bull trend runs out of steam. First, there is a positive real body. Second, a larger engulfing body forms. This signal is just the opposite of the Bullish Engulfing signal, but the same rules apply. Used in conjunction with trend line and basic pattern analysis, the Bearish Engulfing pattern can confirm a reversal. Also, there can be reasonable estimates made as to how big of a move will occur. There are always ways in which to help confirm the reversal signal when an Engulfing Pattern emerges. The following conditions will aid in knowing that the market is in line with the signal. If the body of the second day engulfs more than one body. Covering two or more bodies is a major sign of either strength or weakness. Large trading volume on the second trading body is a key indicator that this is a true signal. If the first real body is small, and the second is disproportionately larger. 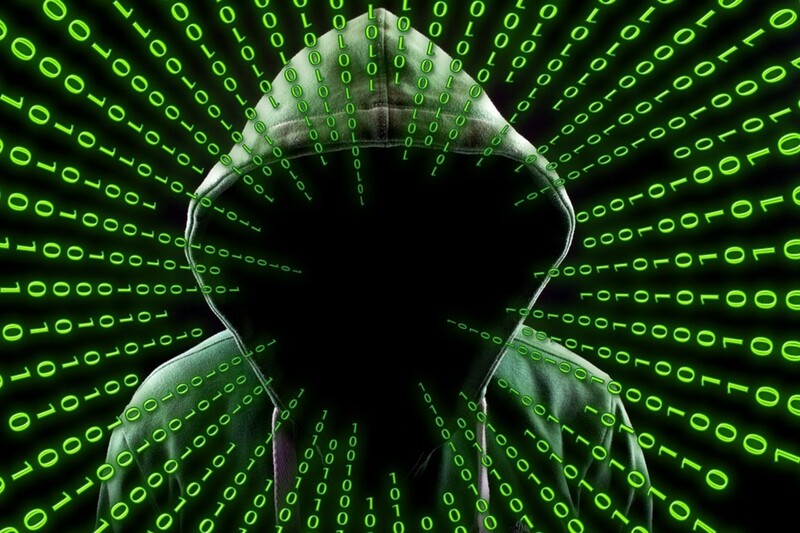 The relevance for this market analysis technique can be seen in all markets. Currencies, Futures, and Stocks can all be analyzed with this method. All time frames can be used as well. Granted the longer the time frame the less signals. Frequency will offer more signals on smaller time frames, but the amplitude of market movement will decrease. Monthly and weekly candlestick charts can be very useful for long term stock investing. While shorter term traders would use more daily and hourly charts. Option trades can be used in conjunction with these signals as well. Bearish Engulfing signals are a great time to sell calls or buy puts. Straddles and strangles are also good option strategies that can be used in tandem with the reversal signal. Bullish Engulfing signals would be the time to think about selling puts or buying calls. Or for reduced risk, sell credit spreads and know you are limiting your potential loss from the start. And odds are a profitable trade as long as the market does not do a reversal just as quickly as it ended the original trend. See how the Japanese Candlestick patterns are emerging in the EURUSD currencies. Notice how defined the reversals are. Japanese Candlestick charting techniques have only been used for a few decades in the West. However, this form of market analysis has prevailed the centuries into the modern online trading era. The relevance of its wisdom has endured many critiques. Yet there are few, if any, trading platforms that do not offer candlestick bars today. The ease of visually grasping market action is unparalleled. The standard bar chart just fails to project market dimension in the same way. Very easy to learn, but may take a lifetime to master. This is always one of the most useful tools to incorporate with other technical analysis and fundamental analysis too. Refer to the following video to see how to integrate Japanese Candlesticks. A short set of case studies to show you the versatility of this charting method. Was Case Studies In Japanese Candlesticks Helpful? 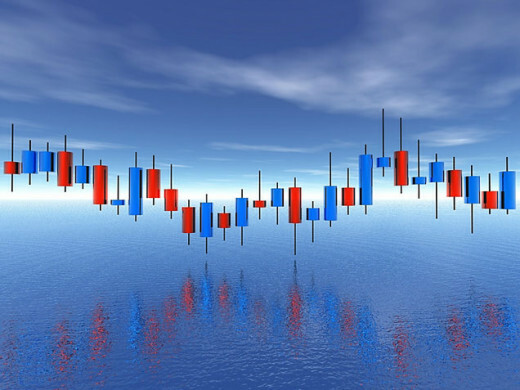 See how these tricks can make candlestick analysis easy. It is not enough to just notice a signal. See how the math is important, and how useful it can be. This is a topic nobody should miss if they use Japanese Candlestick analysis. The following article is a great way of seeing how the market is getting ready to turn. Then confirmation is made with an engulfing pattern. 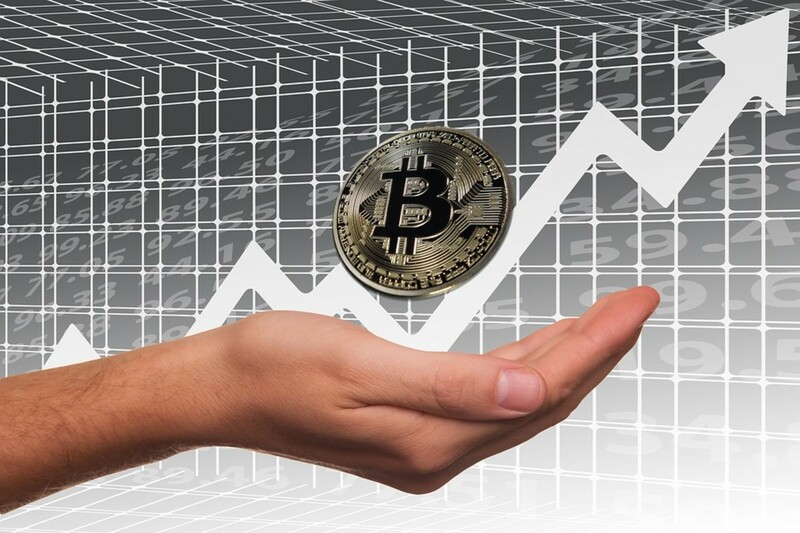 Read the following article to spot potential changes in trend. Be ready for the Engulfing pattern to unfold, and then plan your next trade. There are many reversal patterns used by market technicians to determine changes in trending markets. The Hammer and Hanging-Man Japanese Candlestick Technique is one of the easiest to observe. A great way to learn to spot Bullish and Bearish Engulfing patterns is by starting with longer term charts. The Monthly chart for any stock, future, or foreign currency pair is fine to use. Then move to Weekly charts, Daily, Hourly, and so on. However, remember the tighter time frames have more patterns and moves that will occur. Maneuvering these short term time frames takes more experience, and is suggested for seasoned traders. Once this simple pattern is mastered it will be easier to incorporate more multiple body Japanese Candlestick patterns. Then you will be able to bring price projecting to construct targets for trades, protective stop levels, and the entry points into the equation. It is amazing how much guesswork can be removed with this technique. 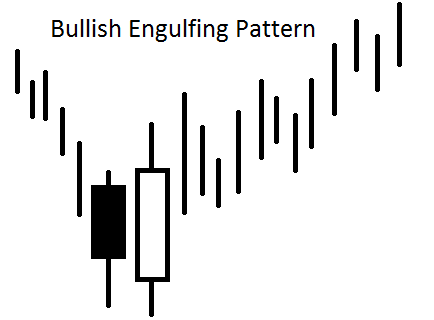 The Bullish Engulfing pattern is great for those who are long a stock or any market. A Bearish Engulfing pattern is a great time for stock investors to think of taking a profit. This works perfectly for the retail investor. There is no reason to sweat the day to day noise of the market. Daily, Weekly, and Monthly charts will suffice for longer term investing. Much less stress as well. As long as there are protective stops in place you should weather most storms. Always use protection in whatever market you trade. There are many more candlestick patterns to learn. The Engulfing is simple, easy, and always occurs somewhere. After mastering this pattern you will be ready to move on to other multiple body pattern setups. Is The Engulfing Pattern A Useful Signal?